“Audience favorite Dina Ivanova gave a powerful, magical and diabolic interpretation of Totentanzʼʼ – Trouw (Dutch Newspaper). 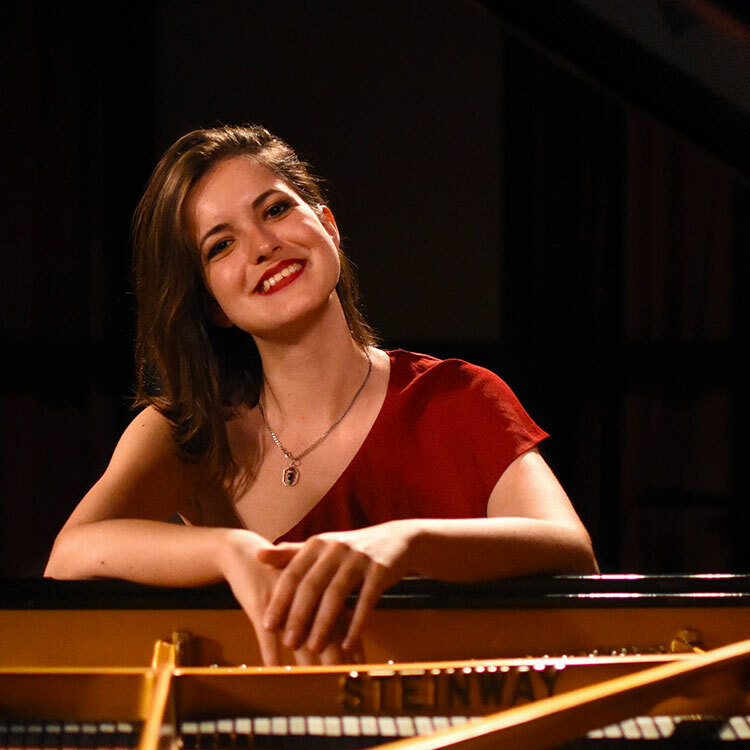 In October 2017 Dina won Third Prize at the 11th Liszt International Competition in Utrecht, and was also awarded the Capgemini Audience Award. She received both prizes after a performance with the Netherlands Radio Philharmonic Orchestra conducted by Markus Stenz, and immediately embarked on a tour of the Netherlands. Born in 1994 in Ryazan Russia, Dina studied at Central Music School in Moscow and is currently studying at the Tchaikovsky Conservatory in Moscow with Prof. A. Mndoyants. Dina has given concerts in Germany, Hungary, Cuba, Bulgaria, Lithuania, Denmark, Norway, Poland, the United States and Russia. Highlights include concerts with the Thüringer Philharmonie, the Israel Symphony Orchestra and the Goldmund Quartet, as well as performances at the Liszt House in Weimar and Schloss Schillingsfürst. She has won numerous awards including 2nd Prize at the Liszt Competition in Weimar (2015), 1st Prize at the Tel Hai Competition in Israel (2016) , the Honorary Mention prize at the Paderewski competition in Poland, 2nd prize at the Vines competition in Spain, and the Artist Recognition award at the 2017 International Keyboard Festival in New York, USA.